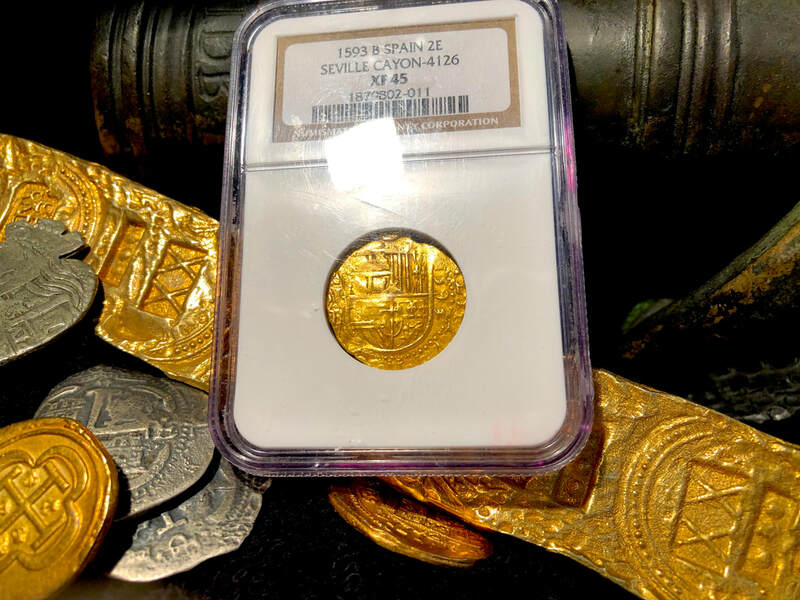 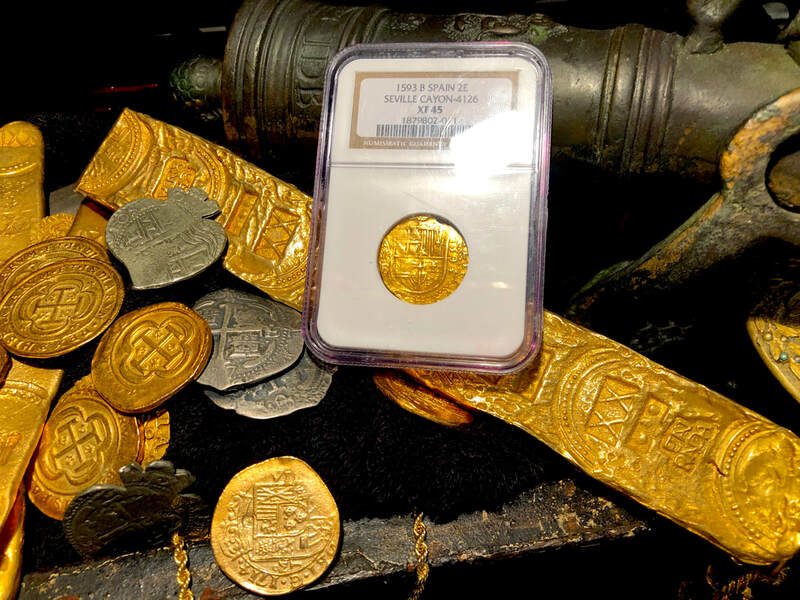 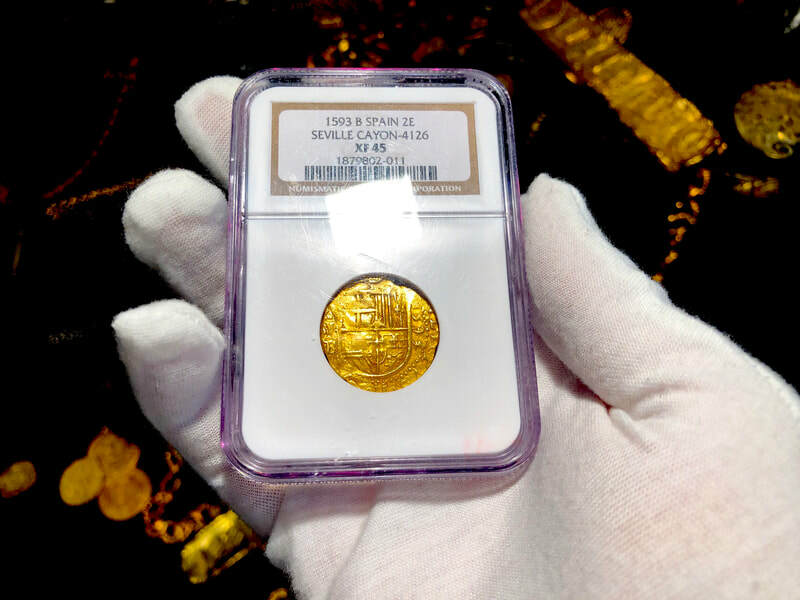 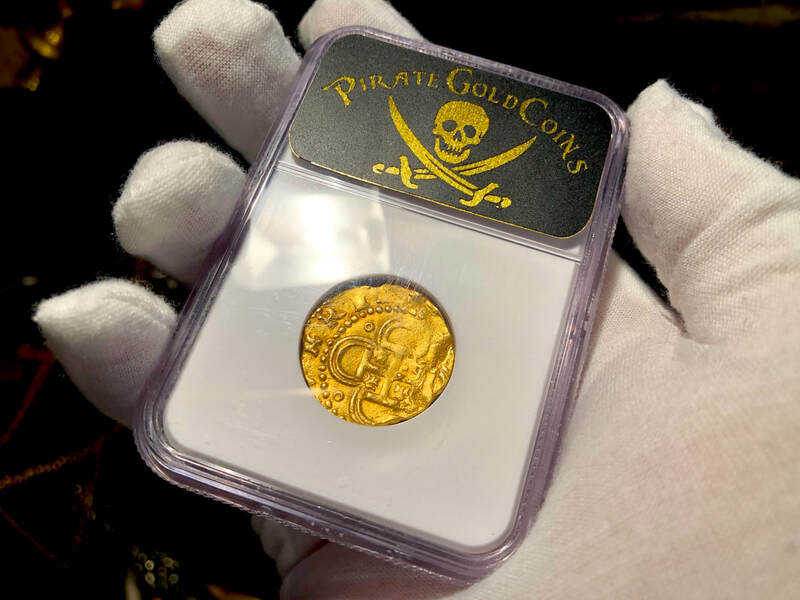 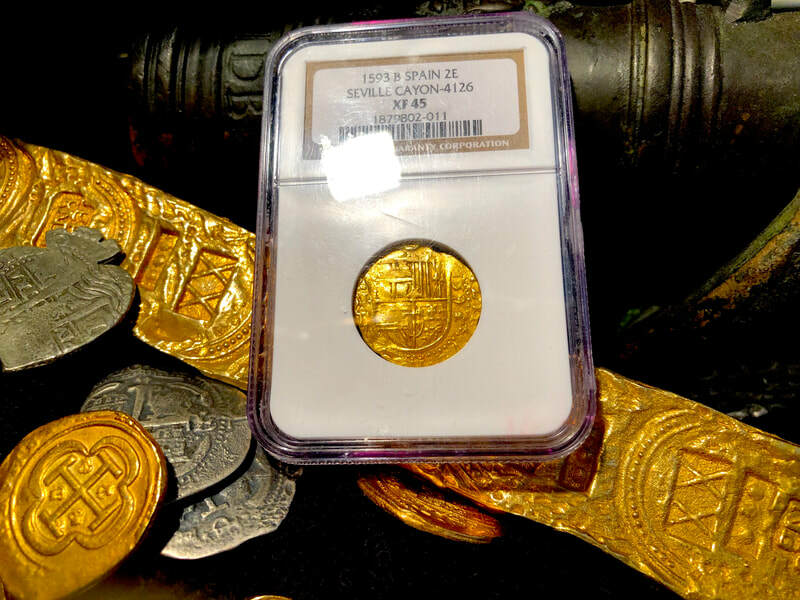 SPAIN 1593/2 2 ESCUDOS NGC 45 PIRATE GOLD COINS SHIPWRECK TREASURE COB COIN This Incredibly RARE piece is FULLY DATED 1593/2 (the 3 is clearly over a 2) and has not only a Full shield but even part of the Legends on the Obverse and Reverse. 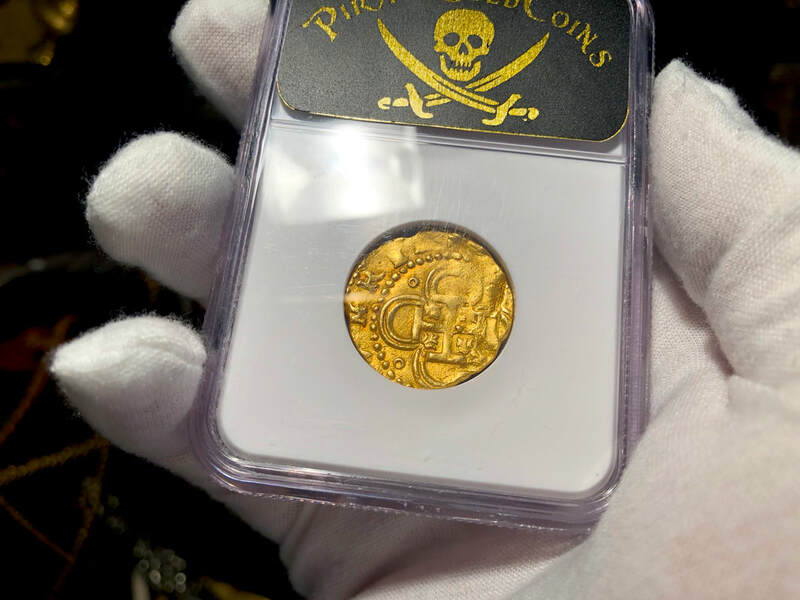 The Cross is complete and a majority of the Tressure is as well. Nicely ecsenuated by the surrounding partial circumference of dots. 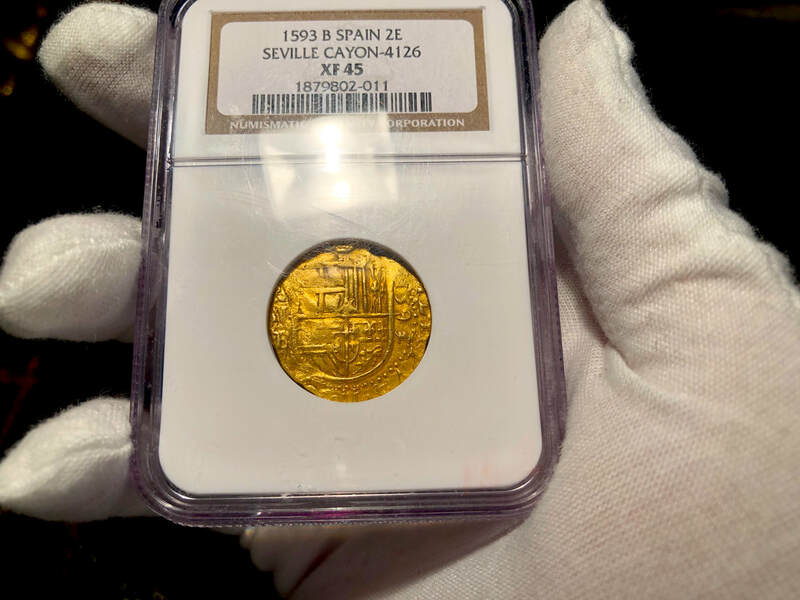 A beautiful and Rare piece of History… over 400 years old!